Cheryl Sears. Photo courtesy Cheryl Sears. The Los Rios Community College District appointed former Cosumnes River College Police Captain Cheryl Sears in March as the district chief of police for the Los Rios Police Department. Sears has worked in law enforcement for 30 years and was most recently the interim chief of police for the district. She took over as interim chief following the retirement of Rick Jones. Sears, who worked as police captain at CRC for 15 years, said she has a goal to strengthen the police department as a whole and to work on better communicating with other local law enforcement agencies. City College police captain Valerie Cox emphasized her respect for Sears, as well as her approval of the district’s decision to appoint Sears as the chief. 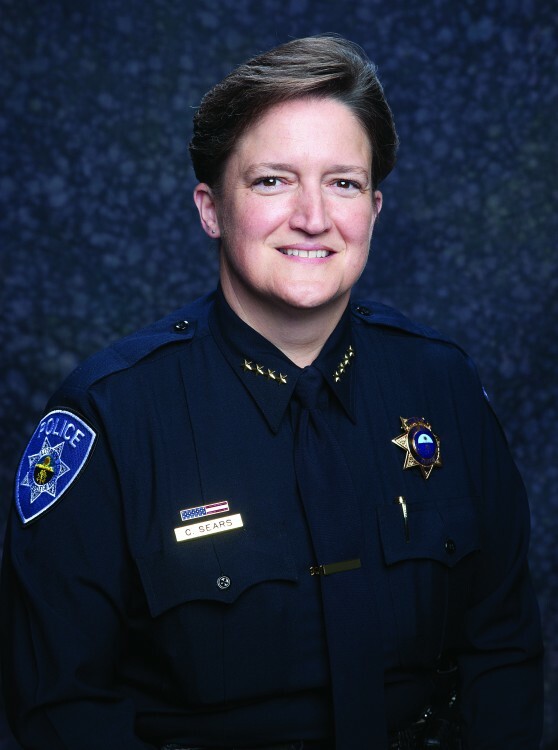 “I’ve had the privilege of working with Chief Sears for almost 20 years now and I believe that she’s going to be a great leader for this department,” said Cox. “She’s home-grown. She came up through our department and I believe the district’s choice in her not only shows faith for her talent and skill that she brings to the table, but I think it shows how much faith and respect they have for the department as a whole. According to Cox, in addition to overseeing the district police department and the security and safety of the community, Sears will focus on reaching out to other local law enforcement agencies to ensure communication and cooperation across the departments. Sears said she began her career in the United States Air Force, serving as a criminal investigator and later worked with the Honolulu Police Department. Sears said she believes safety not only requires strong law enforcement, but for everyone to participate in their own personal safety and to gain knowledge of what to do in the case of an emergency. This entry was posted in News, Sac City Express (SCC) and tagged Cheryl Sears, Los Rios Police Department, police chief, Sac City College, Sac City Express (SCC), Valerie Cox. Bookmark the permalink.